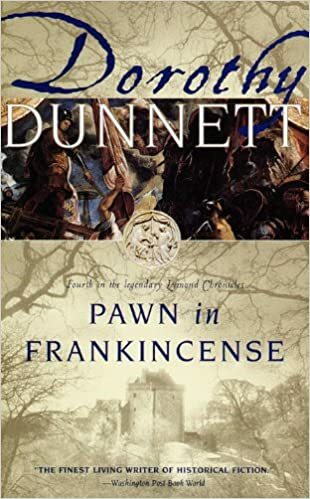 Pawn in Frankincense is the fourth in the legendary Lymond Chronicles. Somewhere within the bejeweled labyrinth of the Ottoman empire, a child is hidden. Now his father, Francis Crawford of Lymond, soldier of fortune and the exiled heir of Scottish nobility, is searching for him while ostensibly engaged on a mission to the Turkish Sultan. At stake is a pawn in a cutthroat game whose gambits include treason, enslavement, and murder. With a Foreword by the author.